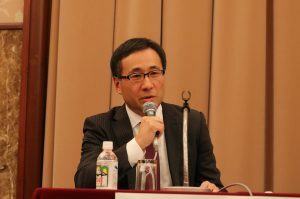 On Thursday, March 7, 2019, Foreign Press Center Japan held a symposium in the 10th floor hall of the Nippon Press Center Building, on the theme of “A Free and Open Indo-Pacific: Ensuring Peace and Prosperity in the Region” (supported by the Ministry of Foreign Affairs). The symposium had journalists and experts from Japan, India, Singapore, the UK, and the US as panelists, and they discussed what steps the international community should take to solve issues and ensure stability and prosperity in the Indo-Pacific, which will be the driving force behind the global economy this century. There were approximately 90 attendees at the symposium, including members of the Japanese and international media, embassy officials, experts, and students. A summary is provided below. 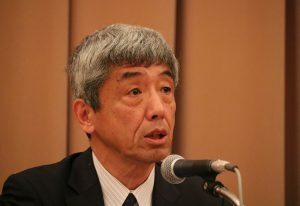 As reasons for the creation of the regional concept of the Indo-Pacific, Dr. Tanaka suggested the fact that the region had become a center for global economic dynamism in the 21st century, and the geopolitical changes brought about through China’s economic growth and military expansion. For the sake of future development of the Indo-Pacific, he welcomed investment in infrastructure projects from China, the world’s second-largest economy, as long as those investments had sufficient debt sustainability, but called for China to take actions to reduce the “geopolitical reason” as much as possible and noted the necessity for the countries involved to create a cooperative relationship which allows the Indo-Pacific to come to the fore, as the center global of economic dynamism. Despite the previous two American administrations having what seems to be essentially opposite policies towards China, their vision of the US playing a major role in the Indo-Pacific is the same. Vice-President Pence’s speech in October 2018 was a watershed moment, when the Chinese government concluded that American policy on China is hostile in a way that could be seen as a trade war. Mr. Myers also noted that although the current administration lacks consistency in its policies, the president’s term is approaching its end, and so another election cycle is beginning. The question of how to deal with China will likely continue to be the subject of debate. Since 2017, China–India relations have worsened due to issues such as the succession of the Dalai Lama, China’s Belt and Road Initiative, and the military standoff in Doklam. India considers the Belt and Road Initiative to be a geopolitical initiative, and has been petitioning the countries involved to oppose it. 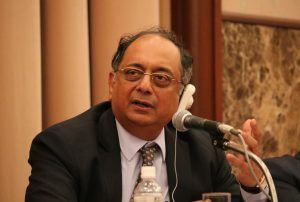 In the Indian Ocean, which is strategically significant to India and in its backyard, as the American military presence has decreased China has expanded its own military presence, and Mr. Chaudhuri suggested if the international community has its hopes on India as a strategically important nation to counteract this expansion then they should support development in India. In that respect, Japan has become India’s most important strategic partner over the past five years. Although it is agreed that China is a threat, ASEAN nations do not necessarily have a sufficient understanding of the Indo-Pacific Initiative, and some confusion has occurred, with concerns that this is a new cold war or Chinese containment. ASEAN nations have varied interests, and it is not as simple as choosing either China or the US. Indonesia has taken initiative within ASEAN, and is working to create common ground on the Indo-Pacific. There will be a major conference in Jakarta on March 20, and Mr. Velloor said he would like to wait to see its results. European nations are generally interested in domestic issues such as Brexit, and interest in international issues tends to be limited to security concerns about Russia and its annexation of Crimea, immigration issues, and relations with the Trump administration. The rise of China has only begun to be discussed recently, with only the economic aspect being considered until now, but with China’s infrastructure investment in the Balkans concerns over the Belt and Road Initiative have grown, and China’s rise has begun to be viewed from a broader strategic perspective. In particular, if the UK goes through with Brexit, China will be an important factor as an economic superpower, but it is unclear whether it will be possible to reach a compromise considering military concerns. As Japan relies on international trade, and half of international trade along with 80% of energy transport passes through the Indian Ocean, the security of the Indian Ocean is a life and death matter for Japan. Despite that, Japan only recently began to show strategic interest in the Indian Ocean. Reasons for this interest are: 1) Concerns over China’s actions, 2) Predictions that the center for global growth will shift from East Asia to the Indian Ocean region, and 3) Concerns about inconsistent US policies, particularly the possibility of US-China relations changing significantly. Therefore, Japan would like to create a multinational system to ensure freedom and order in the Indo-Pacific. Since Japan is limited in its ability to have a military presence in the Indian Ocean, the unique policy tool it can use is official development assistance. Each of the panelists responded to the moderator framing the situation as Indo-Pacific countries tending towards being split between whether to remain neutral or support the US or China, and the direction of US policy itself being unclear. 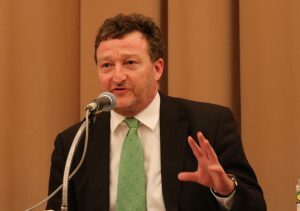 Mr. Myers (US) stated that although the consensus in Washington between both parties and the business community was becoming firmly against China due to both trade and human rights issues, with the presidential election coming up there was a possibility that the new administration could return to the Obama administration’s policy of cooperation with China. Dr. Tanaka stated that if China continued to move forward along its own ideological course in a high-handed manner, more countries would have no choice but to support the US, but as China suffers from fragility due to its economic structure, it will not take that course. Since the China is the largest trading partner for the US and most Southeast Asian countries, he suggested that a policy of selective containment to contain threatening actions by China on specific issues could be taken. Session Two: Toward Growth and Prosperity in the Indo-Pacific Region: Can the International Community Cooperate? Different countries have different views of what the Indo-Pacific could be. As a military superpower, the US is looking at the expansion of Chinese influence from a geopolitical perspective, and questions the regime’s record on democracy and human rights, thinking that it must not be allowed to become a successful model for state capitalism. Countries which have security issues with China, such as Southeast Asian countries and India, want to include China as much as possible and avoid confrontation while creating a free and open Indo-Pacific. Until the 1990s, Japan was the country which provided China with the most ODA, and was the first country to lift economic sanctions after the Tiananmen Square incident, and this focus on development will not change as long as the security environment does not change either. (Mr. Myers)　Although the strategic goals for this initiative of different countries, including the US, are unclear, it is likely the US will to some degree work towards a free and open Indo-Pacific as part of the administration’s strategy. However, unexpected events may occur, such as China taking aggressive action against Taiwan, including stopping trade with a naval blockade. It is questionable whether China would make the economic sacrifice necessary to go that far, but Taiwan could be a game changer. (Mr. Rachman) What is the Indo-Pacific Strategy, and what is its goal? Would it be maintaining the status quo with China expanding its economic influence, or having everyone side with the US? Or would it be making sure that democratic values are not damaged with an expansion of authoritarian systems as China’s economy grows? If the US goes too far, there is also the risk of war, for a net negative effect. (Dr. Tanaka) The minimum goal that must be achieved with a free and open Indo-Pacific is ensuring freedom of navigation in the South China Sea. As long as the US does not change its own Indo-Pacific Strategy, this will be possible. Support by Japan for the coast guard capabilities of nations around the South China Sea is also important. In a prosperous Indo-Pacific, Japan would then be able to provide development assistance, but economic assistance from China and other regional nations is also necessary. (Mr. Velloor) The key to success depends on what the intention is. If the goal is isolating China, it will not work out. An inclusive approach like the one being taken by ASEAN, or combing various different strategies, is necessary, and China’s concerns must be considered as well. The development of Southeast Asia relies on capital from Japan. 20% of Indonesian exports are from Japanese businesses located in Indonesia, with 93% of the workers at those businesses from Indonesia, but for China it is the opposite. Communicating these kinds of positive stories is important. (Dr. Tadokoro) What would success be? Isolating China like the Soviet Union was during the Cold War is no longer possible, and so deterrence must be considered. To that end, US commitment is necessary. Also, when considering the Indian Ocean, India may be the most important country, but it is not the only player. Both Pakistan and Iran have positive relations with China. It is not a simple question of China or the US, and how the opinions of local countries can be consolidated is important. (Mr. Chaudhuri) When presenting a counter-argument to the Belt and Road Initiative, Japan will be India’s partner to provide an alternative. India and Japan are already cooperating in Sri Lanka and Africa. They have been successful with Japan handling the work, and India handling the diplomacy. 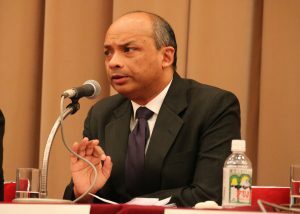 (Mr. Rachman) Japan has been successful as an economic superpower and democratic nation, so it is in an excellent position. Although it may have military weaknesses, Japan does not rush headlong like the US does, and can support order under the rule of law. Having helped create the TPP11 and support free trade, it is an important middle power. (Mr. Velloor) A significant portion of Southeast Asia is inland, and although Japan has been advancing into the Mekong Delta, it should cooperate more closely with India and the US, and demonstrate to the region that they are working together. This region is in need of support, and Japan has both the capital and the skills necessary for capacity building. 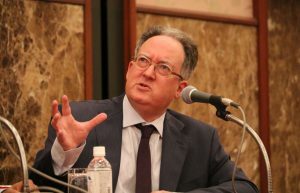 (Mr. Myers) If the US is going to be withdrawing from multilateral frameworks, Japan will likely take over its role. Although it depends on the results of the next election, the current administration reflects the strong tendency to isolationism that many Americans still have. (Dr. Tanaka) Japan’s biggest security role is in not allowing China freedom of military activity in the East China Sea, and establishing defensive strength in the region around Japan to not create an opening in the net of deterrence. For the sake of prosperity in the Indo-Pacific, while economic assistance is necessary, direct investment by private companies will play an important role along with ODA by the government. There is also a lot of leeway open for cooperation between India and Japan, such as building a corridor for future African development. (Dr. Tadokoro) The Japan-US alliance is a major asset, and Japan provides an incentive for US commitment to the region, as well as playing an important role in providing support. For prosperity in the region, maybe public policy should be created that encourages private Japanese businesses to take risks and make investment in such areas as East Africa. To conclude, the moderator, Mr. Akita, noted that this discussion brought to light the fact that different countries had different perspectives of the Indo-Pacific Strategy, and to move forward it would be necessary to share a combination of values, norms, and interests.